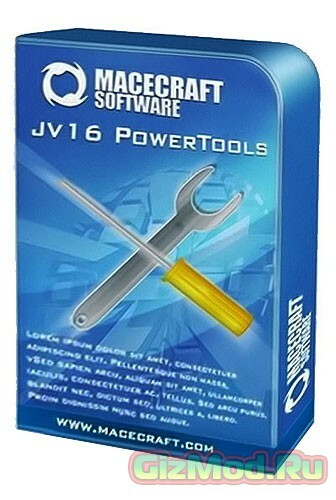 jv16 PowerTools X 4.0.0.1486 - представляет собой набор утилит для комплексной работы с реестром (очистка, правка, автозагрузка, установка/удаление) и файлами, очистки дисков и управления компьютерами в локальной сети. В состав программы входят следующие утилиты: Software Manager, Startup Manager, Registry Manager, Registry Cleaner, Registry Finder, Registry Find and Replace, Registry Monitor, Registry Compactor, Registry Information, File Finder, File Cleaner, File Organizer, Duplicate File Finder, File Tool, Directory Finder, Directory Tool, Disk Wiper, Start Menu Fixer, History/MRU Cleaner, History Manager, Cookie Manager и Privacy Protector. Категории и теги: Программы » Утилиты » Скачать, jv16 PowerTools, Утилиты, Настройка, Система. • Очистка системного реестра с использованием запатентованной технологии. • Менеджер системного реестра, позволяющий редактировать записи реестра касающиеся контекстного меню IE, программ загружающихся при старте системы, установленного программного обеспечения. • Менеджер "Истории" и файлов cookies (поддерживаются вэб-браузеры Internet Explorer и Mozilla Firefox). • Удаление временных и ненужных файлов. • Наличие удобного планировщика, который позволит выполнить определеннее действия (к примеру, очистка кэша браузеров) по расписанию. • Отслеживание изменений в системном реестре. • Windows warns about incorrect certificate when starting PowerTools – This is due to the certificate used to sign the program expired, the new version is now signed wit a new certificate. • The program can crash with Out of Memory error message. • The Back button in the main user interface isn’t translated. This fix does not require changes to the translation files. • The Select feature to automatically select all but one of the found duplicate files is missing from the Duplicate File Finder. It’s back now. • Disabling or Enabling startup items with the Startup Manager can lead to the progress panels to be displayed incorrectly (two panels overlapping each other). • Program doesn’t always detect real-time anti-virus products that can affect PowerTools’ performance. PowerTools should display warning if such program is detected. The warning should only show at most once a day when PowerTools is started and at most ten times in total. • When applying a new license with the My Account feature, the program can both show an error message about incorrect license and say a correct license was found. • The Startup Optimizer can in some specific combinations of installed software make the Windows shutdown slower. • The Clean and Fix My Computer can reset the Windows user account’s profile picture under some specific cases. If this has happened in your system, simply use the Windows Control Panel’s user account management to set the correct profile pictures. • Removed reference from the Maintenance Tool to the removed statistics feature. • In some systems, enabling the password protection made the program no longer start (the password input window never showed up). • The program can crash when trying to use the Immunize My Computer tool in the rare case the system doesn’t have a hosts file (or access to it has been denied). • The Service Manager can show an error message relating to ESvcMgrException. • The Mass File Rename tool can crash if you attempt to rename files in a way the new filenames contain filenames that already exist. • The Chinese Simplified translation is not installed, even if user chooses to install it. • Minor GUI visual improvements for users running Windows XP. • Added many new safety improvements including new double and triple checks to the registry cleaner engine to ensure maximal accuracy and safety. • Improved the speed of the Registry Finder. • Now ships with the Czech and Korean translations and the Chinese, Dutch, Polish and Swedish translations have been updated. • My Account feature now automatically checks for a license after you enter your information, without the need to click the Update button. • My Account feature now automatically informs us if you have bought a license but the license installation has failed, this will make our servers automatically generate a new license file for you. • If you once disable Startup Optimizer, the default setting for it in Clean and Fix My Computer will now also be disabled. • Improved the accuracy of the registry cleaning engine. • PowerTools can now better detect and skip directories that seem like temporary directories but which are not. For example, if you use directory “C:\Temp” to store your temperature measurement documents, PowerTools is now able to detect that the data inside the directory is important and do not offer those files to be removed as temporary files. • After applying a new license, PowerTools will now show more clearly that a license has been applied and that the program must be now restarted. • Improved Software Uninstaller’s ability to find installed software from the system. • The program now uses less memory (RAM) when running. • Added the forum link to the main window.